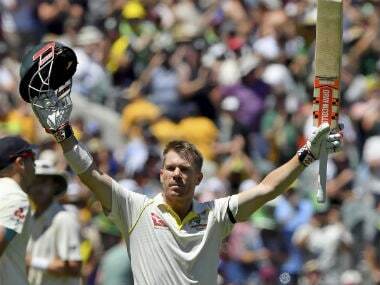 In the opening Test of the series versus Australia, the pre-match-unfancied visitors handed the hosts a defeat that will stay long in people's memories – by 333 runs and incredibly in under three days. The Australian spinners, Nathan Lyon and Stephen O'Keefe shared 17 of the 20 Indian wickets (the latter registering his career-best figures) while the Indian spin duo of Ravichandran Ashwin and Ravindra Jadeja claimed 12 of the 20 Australian wickets. The pitch at the Maharashtra Cricket Association (MCA) stadium at Pune was a topic of hot discussion on the eve of the Test for its dryness and was expected to take spin from the word go. It stayed true to those expectations. On a wicket where survival for any length of time meant not only the batsmen bringing to bear their best technique and discipline but also a fair bit of luck, the toss was always going to be crucial, and Steve Smith did his side – and the spinners – a huge favour by calling it right. By the numbers, it will be fair to say that Lyon and O'Keefe out-bowled Ashwin and Jadeja, and it will also be fair to admit that the pitch had a lot to do with it. It is not without reason that Ashwin and Jadeja are ranked one and two in the ICC Test rankings of bowlers but the playing surface that obviated some of the nuanced skills they bring to their crafts, and simultaneously boosted the effectiveness of O'Keefe – in particular – and Lyon, meant that the gap between the two sets of spinners was overcome. India's earlier oppositions during this home stretch – New Zealand, England, Bangladesh, and before that, South Africa, did not possess spinners of the combined quality of Lyon and O'Keefe. And so, Ashwin and Jadeja, irrespective of the surface the Test was played on or the toss, were going to come out on top. Since the opposition spinners were not consistent with their lines and lengths, the Indian batsmen could help themselves to vast amounts of runs, and allowed their side to extend their unbeaten streak at home. Even on flat wickets, Ashwin and Jadeja used their accuracy and skill to achieve drift and dip, and subtle variations to prise batsmen out, while the opposition spinners struggled. On the turning tracks that featured during the South Africa series in 2015, the Proteas' spinners were not good enough to take advantage of the surfaces, and the Indian batsmen could score sufficient runs, letting Ashwin and Jadeja's superior consistency and skill to easily cruise through. It can be argued that even as there were no significant difference in the rate of “not-in-control” deliveries, it was just a fluke that the Indian batsmen collapsed and the Australian batsmen survived. And of course, there were more than a few catches that were dropped too. However, that argument would be wrong for a couple of reasons. It is said that the hardest delivery to bowl on a turning wicket is the one that goes straight. With an abundance of purchase on this surface, both Ashwin and Jadeja were generating copious amount of turn and regularly beating the bat, but struggled to attack the stumps consistently. They bowled lengths that were effective during the England series but here, allowed the batsmen more time to adjust or took the ball spinning sharply past the outside edge. There were a lot of 'oohs' and 'aahs' but Ashwin and Jadeja could only take 12 wickets in their combined 119.5 overs, whereas O'Keefe and Lyon took their 17 wickets in just 44 overs! As can be seen, of the 28 wickets that fell to these four bowlers, only two were to back of length deliveries, both bowled by Jadeja, whereas the other 26 wickets came off length deliveries. The percentages for O'Keefe are striking. He hardly bowled deliveries that were going to bring him success. Lyon achieved more success in the second innings by decreasing the percentage of back of length deliveries while keeping the ball full. 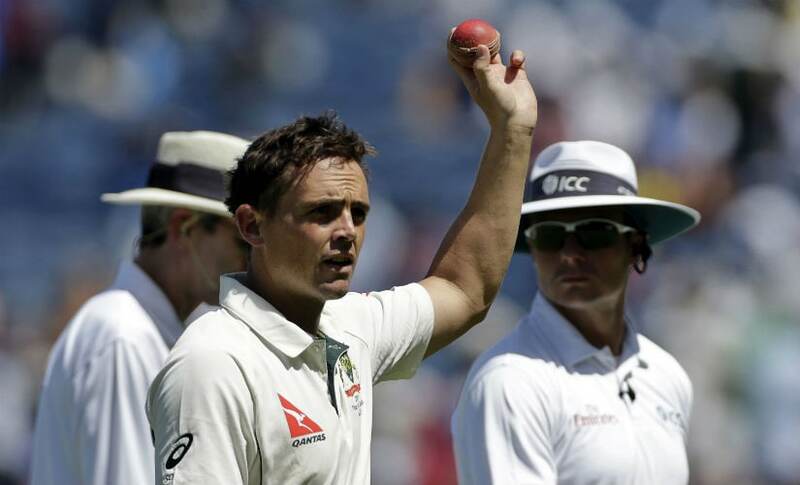 Another reason was that O'Keefe does not put as much work on the ball as Jadeja does. It meant that the assistance from the pitch was just enough to find the edges of the bat whereas Jadeja repeatedly beat the bat without finding the edge with any sort of regularity. Every delivery that a batsman is beaten on contributes to the “not-in-control” percentage and the Indian spinners had the batsmen more out of control than their Australian counterparts, but the difference in results were dramatic! This should then mean that India cannot afford to play any of the remaining three Test matches on surfaces that could bridge the gap between the two sets of spinners. Raging turners not only diminish the advantage of having world's two leading exponents in the side but also exposes the Indian batting line up to be exploited, like it did in Mumbai against England in 2012. 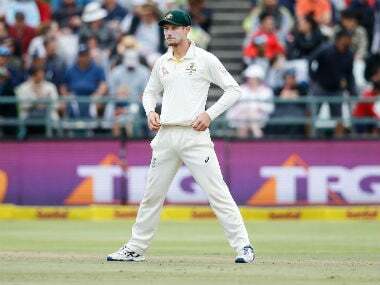 India would be served better if they play on sporting tracks similar to the ones used for the recent England series, but that could then bring the irrepressible form of Steve Smith to bear. They can cross that bridge when they get there.